a time for congregations to come together to celebrate and support the ministries that God is using to transform the world. 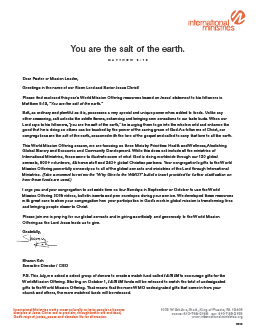 Every September and October, congregations come together for a time of awareness, advocacy and action for global mission. 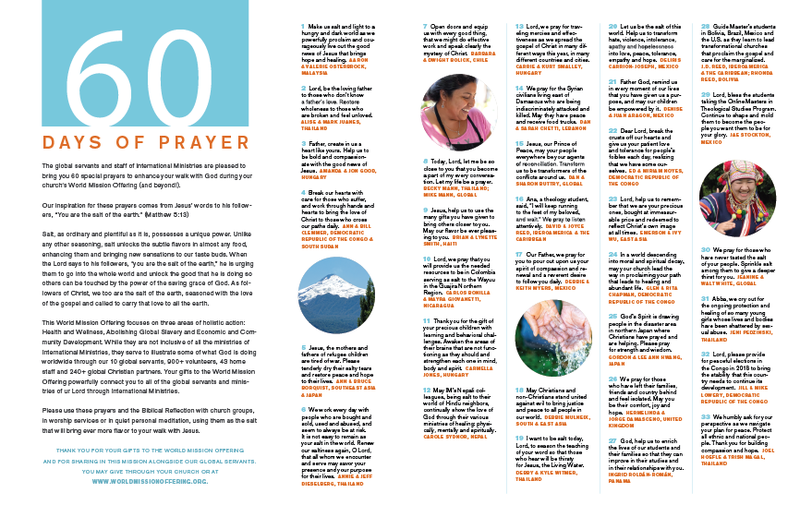 Churches across the country celebrate and support the ministries that God is using to transform the world. 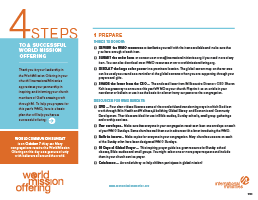 This is the World Mission Offering. 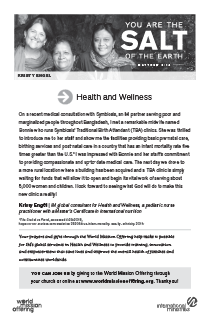 For the 2018 World Mission Offering, we are highlighting the Ministry Priorities of Health and Wellness, Abolishing Global Slavery and Economic and Community Development. 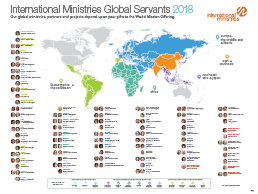 While these represent only a fraction of IM’s ministries, they provide a window into what God is doing worldwide through our 120 global servants, 900+ volunteers, 43 home staff and 240+ global partners. 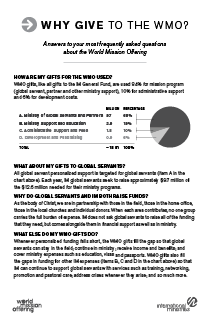 Why Give to the WMO? 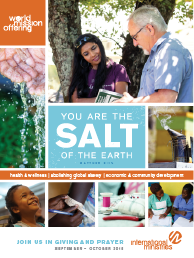 Email us at wmo@internationalministries.org with your order and full contact information, including church name, email address and telephone number. Call us at 610-768-2208 or 610-768-2182 on weekdays from 7:00 AM to 4:00 PM EST. 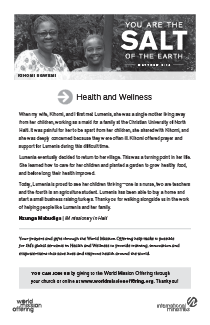 With questions about making a gift, please contact the Donor Services team at 610-768-2323 or IMdonorservices@internationalministries.org.